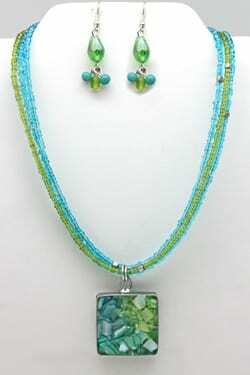 Color designs vary, creating a unique set. 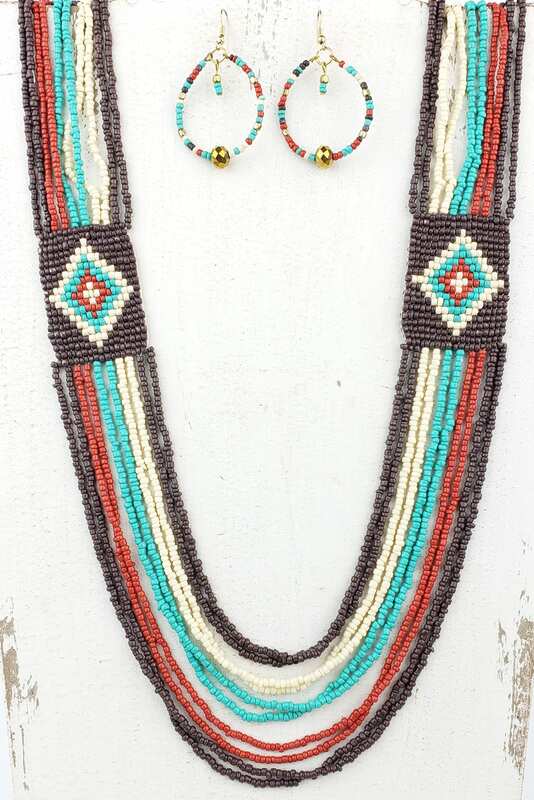 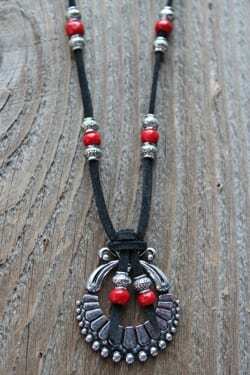 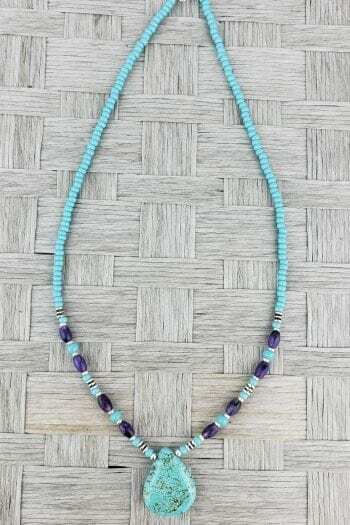 5 pairs of purple, red, white, and turquoise beads patched together with a diamond design make a gorgeous necklace. 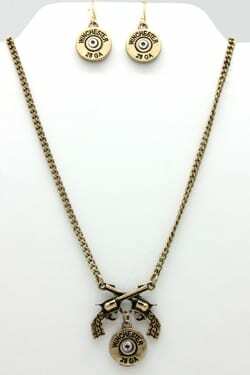 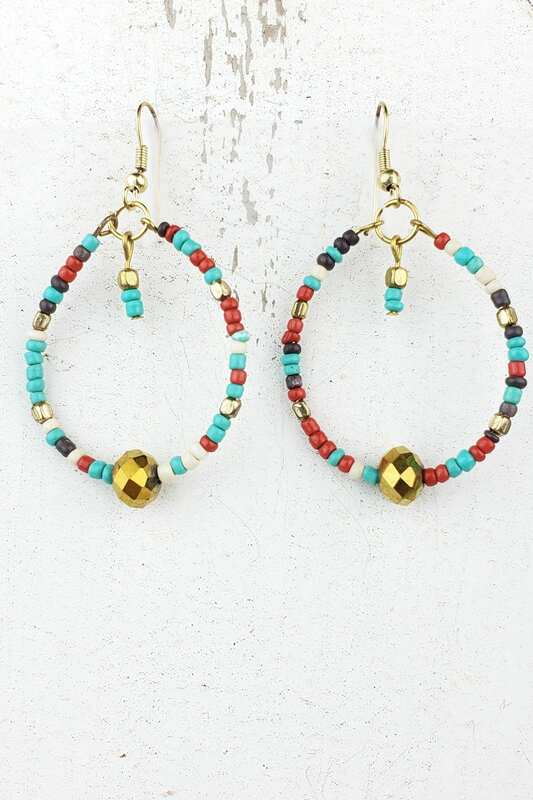 Gold ear wires hold a vary of wire strung beads, adorned by a gold bead.